Our vision is to create a collaborative community hub, a flexible workspace and learning hub for creative businesses within the Eastern suburbs of Melbourne, that do not fit the current flexible working arrangements due to the nature of their business and their flexible needs. The aim of Grow, is to provide connection in a fragmented industry. Makers are socially isolated by the nature of their work, often working from home without the normal day to day interactions with work colleagues. 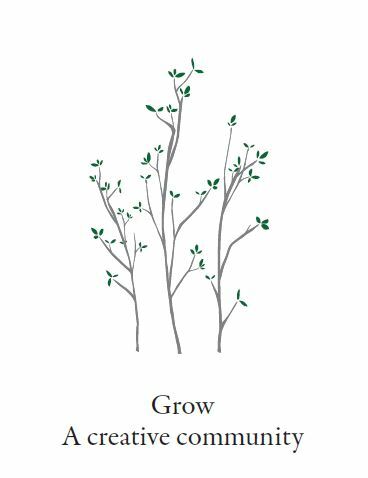 Grow will offer a unique learning/mentoring option and become a provider of entrepreneurial skills for young adults. It has been developed in response to feedback from local artists and artisans. Research has established that there is a positive correlation between time spent in community activities and health outcomes. Both Robyn and Sarah have business backgrounds, (Sarah as a Bank Manager as well as Project Manager and Robyn working as a Project Manager and Operations and Innovations Manager), as well as establishing their own respective businesses – Sarah Munnings Jewellery and Woven by Society. They provide a unique blend of business acumen and skill as well as an intimate knowledge of handmade/craft businesses.